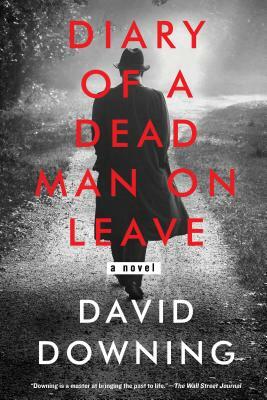 From bestselling author David Downing, master of historical espionage, comes a heart-wrenching depiction of Germany in the days leading up to World War II and the difficult choices of one man of conviction. In April 1938, a man calling himself Josef Hofmann arrives at a boarding house in Hamm, Germany, and lets a room from the widow who owns it. Fifty years later, Walter Gersdorff, the widow’s son, who was eleven years old in the spring of 1938, discovers the carefully hidden diary the boarder had kept during his stay, even though he never should have written any of its contents down. What Walter finds is a chronicle of one the most tumultuous years in German history, narrated by a secret agent on a deadly mission. Josef Hofmann was not the returned Argentinian immigrant he’d said he was—he was a communist spy under Moscow’s command trying to reconnect with remaining members of Germany’s suppressed communist party. Hofmann’s bosses believe the common workers are the only way to stop the German war machine from within. Posing as a railroad man, Hofmann sets out on his game of “Russian roulette,” approaching Hamm’s ex-party members one at a time and delicately feeling out their allegiances. He always knew his mission would most likely end in his death, and he was satisfied to make that sacrifice for the revolution if it could help stop Hitler and his abominable ideology. But as he grows close to the Gersdorffs, accidentally stepping into the role of the father Walter never had, Hofmann begins to wish for another kind of hope in his life. David Downing grew up in suburban London. He is the author of the Jack McColl novels, Jack of Spies, One Man’s Flag, Lenin’s Roller Coaster, and The Dark Clouds Shining; the thriller The Red Eagles; and six books in the John Russell espionage series, set in WWII Berlin. He lives with his wife, an American acupuncturist, in Guildford, England.